SSD Seedboxes, Network upgrades, new hardware! We have been super busy for the past months, making services for You ever better! It’s been one hectic first half of this year, with a lot of good things getting done. SSD Seedboxes aren’t particularly popular yet, but the advantages are obvious! Even with many times the upload slots, peers etc. the I/O subsystem remains highly responsive with low utilization percentages. This means, no matter how hard you push it, GUI and other things remain highly responsive and quick to load. The new generation of SSDs, such as Samsung 850 and Kingston UV400, finally bring in the reliability as well to where it needs to be. Older generations of SSDs were very prone to failures in datacenter environment, to the tune of them being unusable. This generation SSDs however offer the media durability required for this 24/7 operation, and firmware has advanced to the level where sudden slowdowns requiring secure erase to restore full speeds no longer seems to happen. You may have noticed we swapped IPs of all our Helsinki datacenter servers in the past month. This is due to getting away from dependancy of Cogent. Infact, Cogent is no longer used for transit in our own datacenter. We moved to utilize local services provider with a mix of Level3, TeliaSonera and RETN. RETN especially is interesting, as they bring fast speeds to the east, especially for the Russian market, and parts of Asia. We also upgraded top-of-the-rack switches at this time as well to some very beefy switches, which are optimized to this use scenario where many many servers tries to push data through one or few links at the same time. We are currently testing utilization of 48GB ECC Ram for our Helsinki DC servers, so far the results has been curious. More ram might not be better because this will push the cached write amounts ever higher. Sample size is too small however, and we will continue checking the situation and building more servers with 48GB instead of 24GB ram. Note these are for 4 drive servers, so 48GB is 12GB ram per drive, and this means that sometimes there might be even 24GB dedicated for single user (storage series offerings). Our philosophy has always been many small nodes is better than few large ones. The few Dual CPU servers of this model will utilize 96GB ram for the same 4 drives. 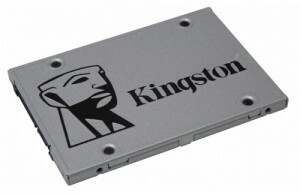 We are currently testing the brand new Kingston UV400 SSD drives for seedbox use. This is TLC drive, but according to research by other parties, and our own conclusions the write endurance is much more than sufficient for server use. The planned life time for an SSD drive is roughly 3 years. For example the 240GB model is rated for 100TB of writes, which is roughly 417 times the capacity. Over period of 3 years this is 1.05MB/s (~1MiB/s) average writing per drive (4 drives ~4MiB/s). Generally servers have only 2-6MiB/s write average over very long period of time, hence the endurance is at the 3 year mark. According to other 3rd party research however, SSD drives generally can go vastly beyond their rated write endurance. We are keenly looking forward as SSD drives continue to grow in size and get better at reliability. We also acquired several Dual CPU 12×3.5″ Drive 2U servers for evaluation as RAID10 server hosts, we are planning to evaluate them by end of July. Plan is to use smaller platter size, but with RAID10 for very high performance per user use scenario (Dragon series). Single or Dual CPU setup is yet to be determined. Datacenter move went by smoothly, we had the servers quickly moved with very little issues. One server developed RAM issues, another developed occasional and random CPU issues. Otherwise all servers got up smoothly and quickly. Now we have space to grow, lower cost electricity, lower cost cooling. Cooling costs are now a lot lower, despite we are running much lower ambient temperature than before. These enhancements will start trickling into service offerings in the following months as we scale up the production. Initially this is done in form of migrations from French datacenters to Helsinki. Maybe the Best bit of these newsletters for You are these specials, aye? 😉 This month we have a wide variety of choices for first month discounts! 40% Off First Month on Any Super250, Storage, Dragon or SSD Seedbox! Wow! SSD 200G: 200 GiB SSD Storage burstable upto 250GiB for 7 days, 1Gbps torrent speeds, 10 000 GiB Torrent traffic! 8.99€ For The First Month! Super250 M: 1350 GiB (~1.5TB) HDD Storage, 1Gbps/250Mbps Torrent Speeds, 15 000 GiB Torrent Traffic! 8.99€ For The First Month! Storage250+ 4T: 3600 GiB (~4TB) HDD Storage, burstable upto 4500 GiB (~5TB) for 7 days, 1Gbps/250Mbps Torrent Speeds, 15 000 GiB Torrent Traffic! 17.99€ For The First Month! Dragon Toruk: 1350GiB (~1.5TB) HDD Storage on RAID5 or RAID10 array, 1Gbps/1GBps Torrent Speeds, 20 000 GiB Torrent Traffic! 11.99€ For The First Month! Use coupon code: 1606m-40off – Price updates on checkout page. Valid until end of the month, only one per customer. You can choose any plan of those series of seedboxes.